For 6 3/4" or 5 1/2" octagon barrel with integral front sight base and dovetailed or pinned blade add $350. All 7 1/2" guns being fitted with 5 1/2" barrel will incurr a $125 extra charge to shorten the loading lever. Adjustable or fixed sight guns can be converted. 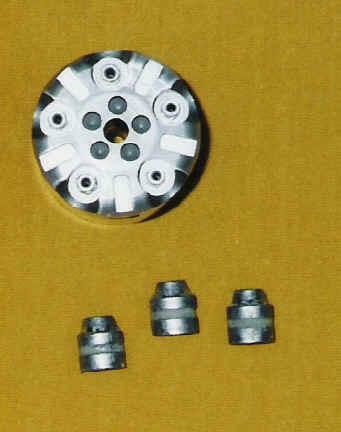 Fixed sight guns with round or octagon barrels come standard with a dovetail front sight blade. Accuracy, fit, & finish on these conversions is second to none. 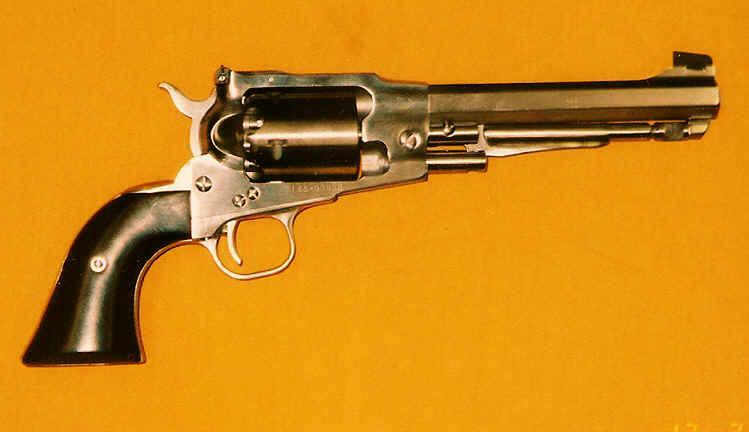 You can be assured you will own the nicest cap and ball revolver on the market with the purchase of one of these. Notice: Please submit an order form and I will contact you when to ship your gun. Specify finish, barrel length, and type of front sight blade wanted on octagon barrels. Other options can be added from above. For those wanting to purchase the mold and open up the loading port, they are available from Accuratemolds.com. Velocity will likely be 50-100 fps less without the chambers deepened due to a reduction in powder capacity.